Waton plans to proceed global promotion of its recently released cuttingedge battery monitoring system, “iPQMS/BDS”, which monitors and analyzes the status of stationary battery systems such as voltage and current of emergency power supply lines, charging and discharging DC voltage and current, cell voltage, temperature, internal impedance with high accuracy for 24 hours of 365 days and the TCP/IP environment, using any communication methods selected by the customer, as well as the early deterioration signs using impedance measurements with any backup batteries in most critical applications. It is an “Intelligent Power Quality Monitoring Systems” to ensure the integrity of users’ power backup systems and offers the most comprehensive diagnosis software and reporting package. 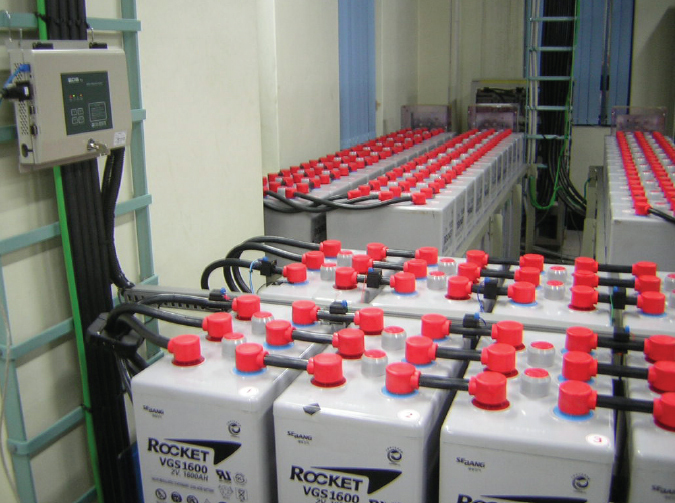 Such built-in various features make it possible for the company’s the battery monitoring system to capture strong attention among global buyers, despite its short exposure to foreign markets. Filed Under: NEP Tagged With: Battery Monitoring System, comprehensive diagnosis software, iPQMS/BDS, WATON Inc. Established in 1999, Seoul-based Envirotech has grown into one of the major Korean companies that have developed eco-friendly solutions through ceaselessly developing and releasing many prominent highly competitive technologies and products. 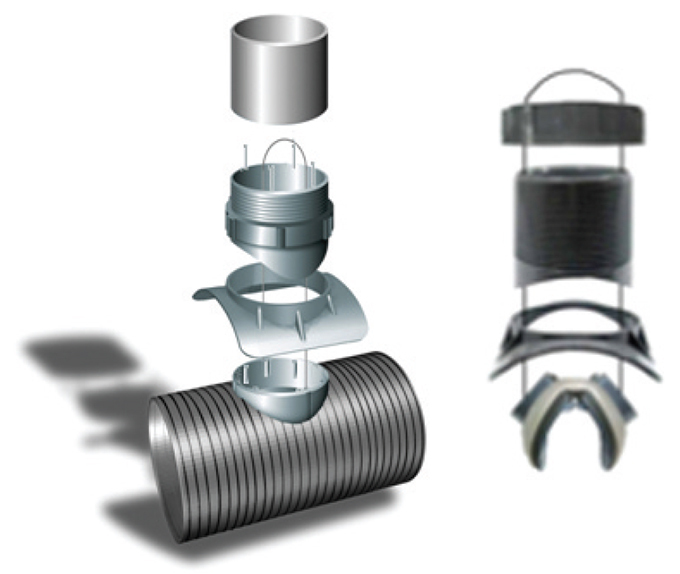 The Teeplus Sewer Pipe Connector is the most important flagship item of the provider. This product is made to protect between the main pipe and the branch pipe without the occurrence of leakage even in an environment of more than 7Mpa water pressure in sewer construction. And so, this product protects the surrounding environment through blocking the progress of water pollution and ground subsidence, caused by contamination of groundwater, and influx of insoluble water. With the applied unique and sole technology in the world, this product is available for all kinds of pipes PE pipe, PVC pipe, DC pipe, cement pipe, etc. As it requires no depth in installation, the construction period is shortened. And so naturally, construction cost can be significantly saved. Now this product is shipped largely to export markets of Southeast Asia and the Middle East. Founded in 1982, Daeyoon Scale Industrial has pecialized in manufacturing electrochemical sensors and industrial measuring instruments contributing a great deal to the development of the domestic measurement industry based on over 32 years of its strict inspection system. 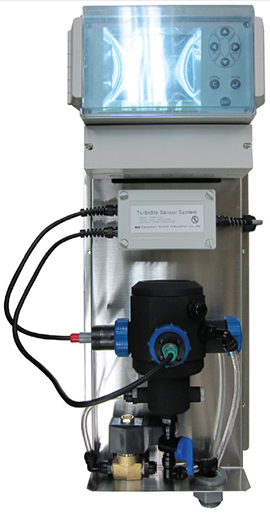 Daeyoon’s flagship turbidity analyzer, “DWA-3000A-TBD,” which has a built-in microprocessor, is featuring a best function and specification for measuring turbidity in the industry. It functions as a very precise turbidity analyzer by setting up the infrared rays (880nm) lamp in the sample fluid with highly efficient lens and transmitted light that passes through the sample fluid. The surface of the product is coated to protect against the temperature change underwater so that it can boast excellent capability in measuring turbidity. And it has an optical lens with color compensation function to filter any scattering light for ensuring perfection in color compensation. 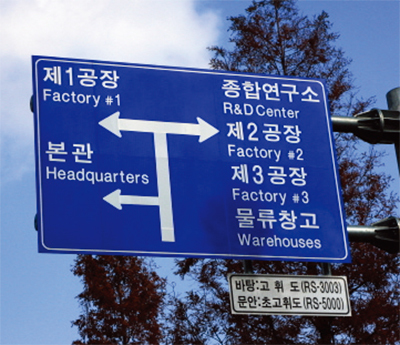 Based upon its continuous research and development and accumulated knowhow and solid experience, Daeyoon Scale Industrial further strives to broaden its business horizons in overseas markets in its existing flagship business areas of construction equipment, water quality and environment business units. The goal is to continuously contribute to society through the developmentof the domestic measurement industry, which lags behind that of other developed countries. KOMEMTEC is an eco-friendly company that has two core technologies. One is PTFE membrane manufacturing technology and the other is a thermal lamination technology. Two kinds of core technologies can be applied to many fields like chemicals, textiles, environment, clothing, medical industries, etc. This company’s unrivaled PTFE membrane-supported industrial filter gives highperformance, better efficiency than general filters as it is processed by applying a technology of thermal lamination into the existing dust collector materials(PET, Glass fiber, PPS). Thermal lamination is technology passing base material (wish lamination) to roller(400) and nip roller intervals. PTFE membrane is laminated to base material that requires use of its technology. KOMEMTEC’s PTFE membrane filter media is a high-performance filter media that is thermally laminated onto nonwoven and woven with PTFE membrane. 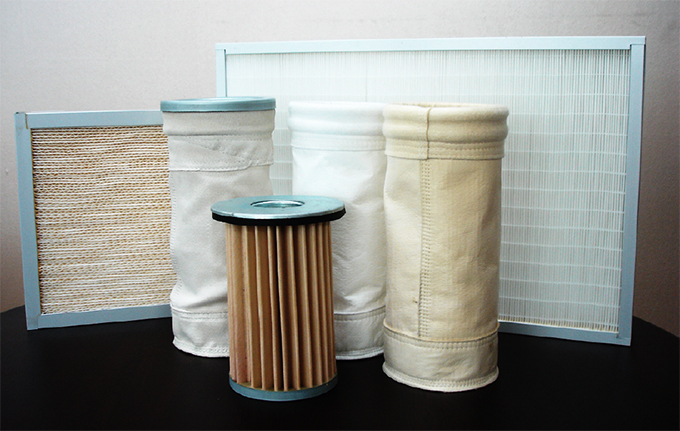 PTFE membrane filter media supplies high particulate capture rates, low pressure drop, extended filter life time and energy savings. With such advantageous features of PTFE membrane technology, this company’s industrial filter ensures many conspicuous functions such as superior performance of collecting dust, extended lifespan of filter, high chemicalresistance, excellent thermal safety. This filter is used at various kinds of collecting facilities such as incineration, thermal/cement supplier, and portable dust collecting equipment. Major export destinations for this item include Germanyand China. 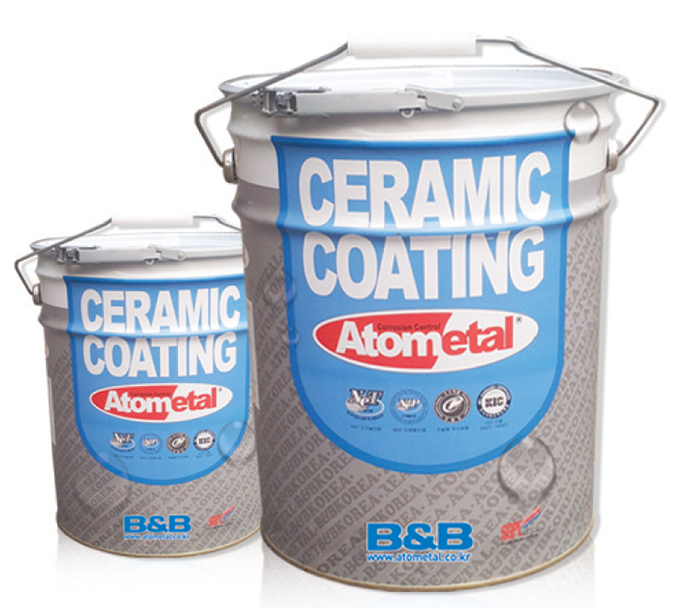 B&B’s Atometal® AM-C series is a new type of corrosion control solution which blended ceramic polymer with specific metal powders and pigments. Blending ceramic polymer with special additives, it provides excellent characteristics such as strong adhesives, abrasion resistance, flexibility and impact resistance, multi-layered barrier against corrosion & fouling factors, curing in the water, and high solid content&low VOC. AM-C-IGF, is a multi-component system composed of metals, ceramics and glass flakes in a ceramic polymeric binder, provides excellent performance in corrosive environment, at ambient or elevated temperature. This product is designed for industrial use at constant process of 350ºF≤and intermittent temperatures of ≤450ºF. Online coating can be applied on the maximum temperature 60ºC. AM-C-O 430, is a plural component system composed of vinyl esther & glass-flake in a polymeric binder. It provides excellent anticorrosion protection in corrosive immersion condition suitable for both steel and concrete application. This product is designed for providing outstanding chemical resistance performance in heat-elevated conditions of up to 150 Celsius working temperature. B&B’s Atometal® AM-A series is enhanced with a high-adhesive forming additive, quality pure ceramic with high concentration of metal powder in a polymeric binder, AM-A processes remarkable hardness property after cured. With a hardness of Rockwell R106(ASTM D1002), it represents a new repairing solution capable to replace conventional welding methods. This solution’s various features include high mechanical strength, ease of use, high chemical resistance, cost-saving effects with high durability, high tensile strength, cutting capability after cured, high shock resistance, strong adhesive, no sagging, and very effective for fluid. Atometal has proven able to transform metal surfaces suffering from deterioration in performance and efficiency and is accepted worldwide by such global companies as Chevron, Posco SZ, STX, Samsung Heavy Industry, Petronas, GS Caltex, MEW, and KEPCO. 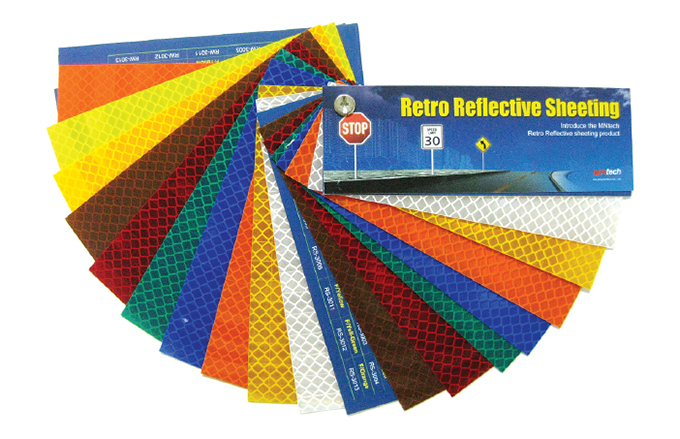 MNTech has released ultra-brightness micro-prism type RV-5000 reflective sheeting series. This product is designed to be conveniently attached to left flank and backside of various vehicles including trucks, trailers, buses, etc. and so it helps ensure conspicuously improved visibility. Thus, it is superior to the existing general level of reflective sheeting in securing of visual field angle. This RV 5000 series is currently used not only at many newly emerging foreign markets, but also international advanced nations such as the U.S.A, Japan, Canada, etc. MNTech developed prism type LCD BLU optical films for the first time in Korea. 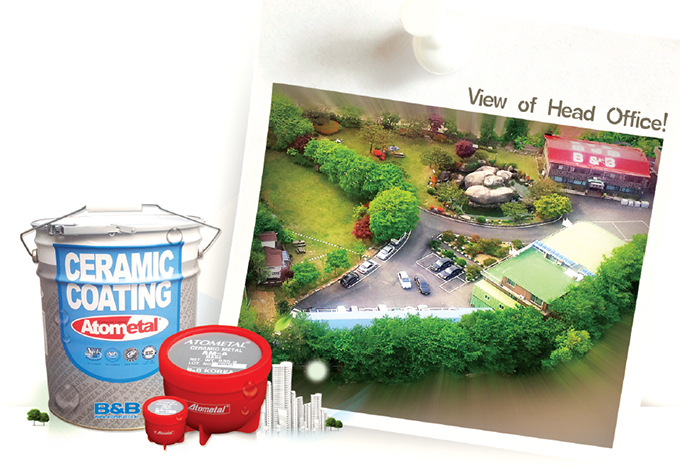 With its innovative products and advanced technology, this company has become a world leader in the field. Based upon the growth of the optical film market, MNTechhas opened a new window to the future and is building a business portfolio for new businesses such as ITO film for touch screens & metal mesh solution business, retro-reflective film for traffic safety business and window film for vehicles and buildings business. Filed Under: NEP Tagged With: metal mesh solution business, Micro-prism Type Retro Reflective Sheeting(RV-5000Series), MIRAENANOTECH CO. LTD. Established in 2002, MNtech has now become the global leader in the field of optical films for LCD display despite its short business history. From its initial stage, MNtech steadily expanded its business to a variety of areas, from optical films for LCD display, touch screen panels, window films for vehicles and buildings through to traffic signage and vehicle safety reflective sheeting. Mirae Nanotech’s RS-3000/5000 Series have special cube structures respectively and are micro-prism type retro reflective sheetings. This product is now adopted for such various areas as road traffic signs, construction sections, industrial safety signs, etc. Featuring excellent capability in day and even night, superior efficiency in reflection, conspicuous durability, excellent heat resistance and various colors &standard colors(ASTM D 4956), RS-5000 series is now fully meeting customers’ demanding requirements in real applications. Now RS 5000/5001/5002/5003/5004/5005/5006 are sold for various applications. This company is struggling to contribute to creation of customers’ satisfaction through especially laying its emphasis on creative thinking-emphasized working style. The president explained, “The creative thinking is the source in order to create higher values. Through this idea, we will supply better and more effective items with our innovative technology to our customers.” Now, more than 20 nations are of its customers including China, Japan, the UK, Russia, the U.S.A, Canada, Brazil, etc. Armed with creative mindset and challenging spirit, Jowoo-Tech has built up steady growth. 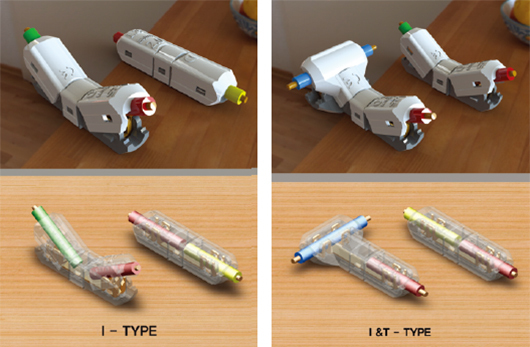 It is an ambitious venture business, manufacturing unique technologies on “No-Stripping, Multiple- Electric Contacts” Cable connector called “e-Clamp.” Jowoo Tech has driven by strong technology developments and continuous business innovations. This company will keep on following up its customers’ considerations and supports seamlessly to match their higher expectations. Steady R&D works and advanced quality control will continue to pursue the ultimate customer satisfaction. e-Clamp, the technologies on “No-Stripping, Multiple-Electric Contacts” will enhance next- generation demands.This revolutionary wiring connector allows you to branch wires together without the need to remove wire coverings. Simply insert wires into the connector and presto! Your wires are connected, and the finished product looks great as well. In addition to ensuring proper connectivity, these connectors further decrease the risk of any shock by protecting against loose, poor connections. What’s more, these amazing little devices save you both time and money on the job. The customers especially in Japan, Germany, the UK and the U.S.A are most highly seeking the secompetitive items. Earth Green Korea has become popular company in the area of manufacturing of variety of protectors that protect various kinds of trees. This company now in Korea has positioned itself as a major company contributing to the creation of beautiful city environments. Earth Green designed its two major roadside tree protectors and green belt protector aiming not only to contribute to the fast-growing of trees, but also for ensuring safe and pleasant downtown roadsides. These products would make it possible for the cities with rich trees to be part of a city that lets people feel a familiarity that other cities do not have. For the disabled, perambulators, pedestrians wearing high heels, etc., these items have adopted universal designs. For easy transit of rain, oxygen supply, and fertilizer supply, water supply tube and nutrition supply tube are provided. The customized and assembly type is available, making a strong contribution to the promotion and preserving of tree growth. They make the surrounding space broader. The applied FDAcertified non-toxic HDPE material strengthens it enough to maintain its original shape even under the power of a one-ton truck. The modularized structure enables cost-savings by only substituting broken parts. Now these are shipped mainly to developing areas in Vietnam and China.